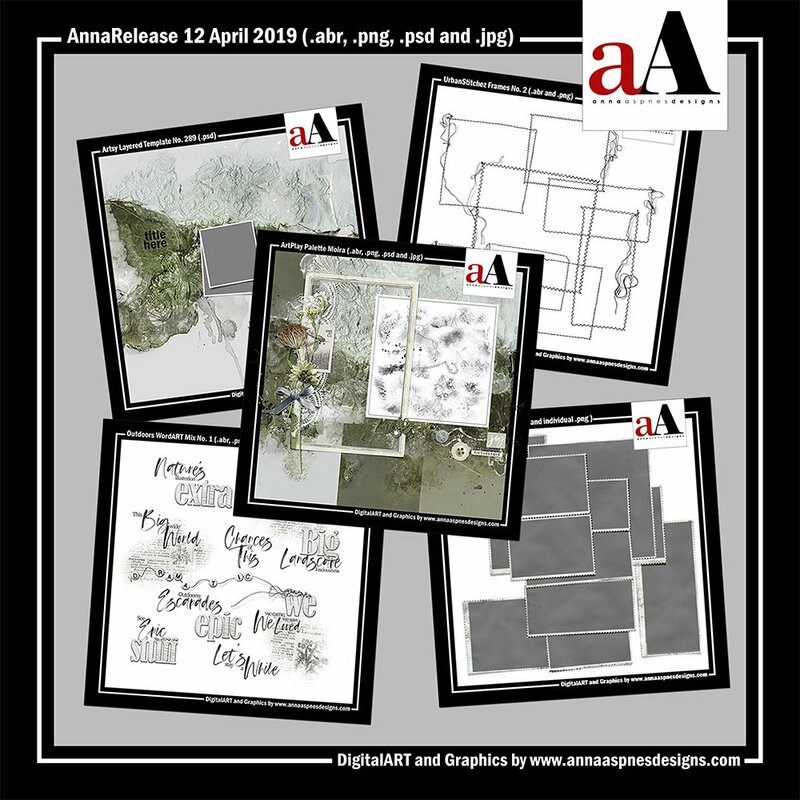 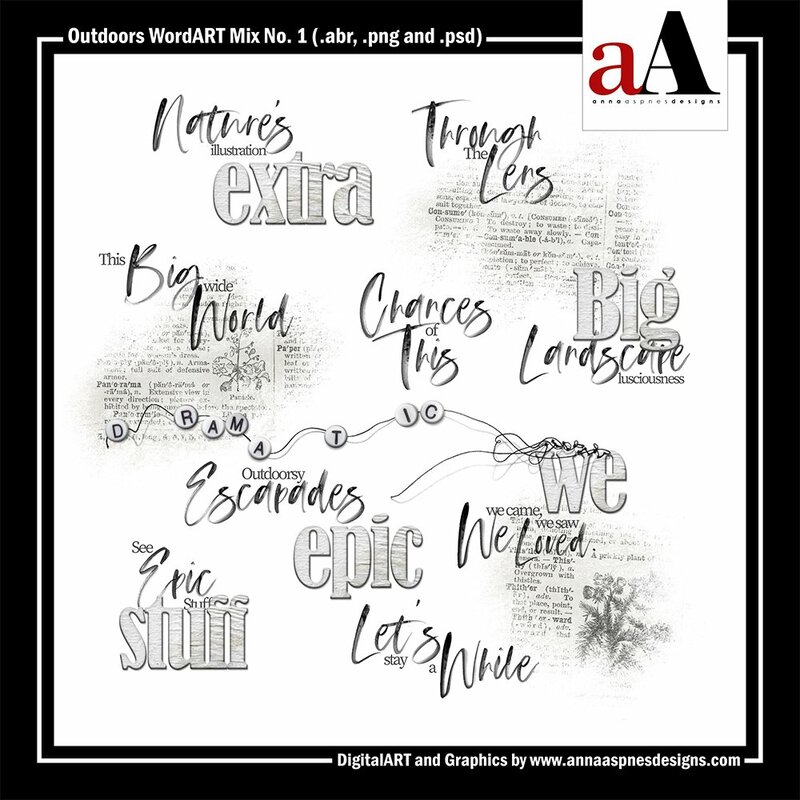 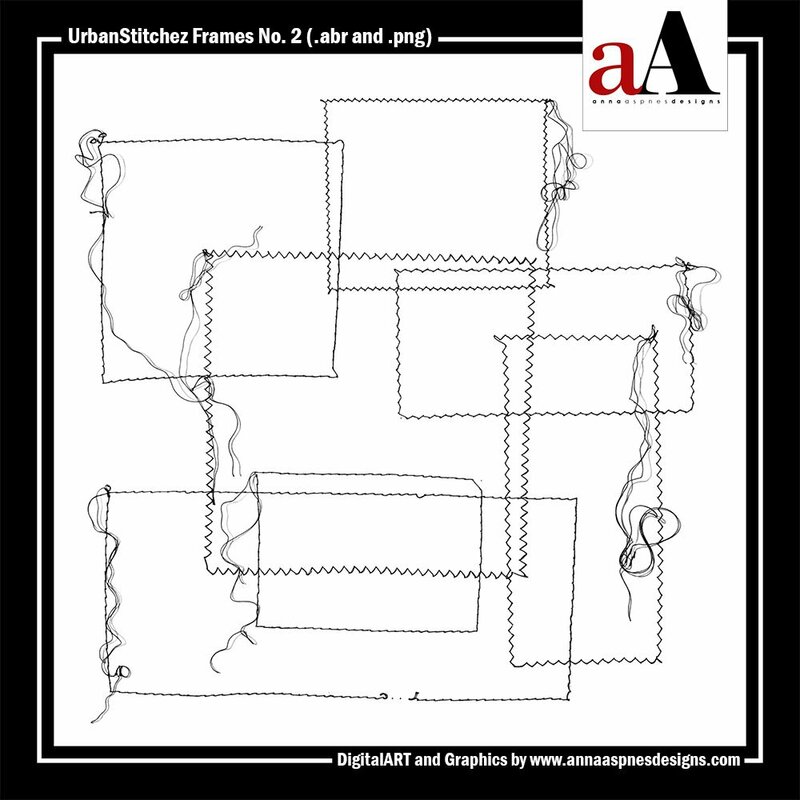 The latest and greatest at Anna Aspnes Designs in aA DigitalART Store Updates 04-12. 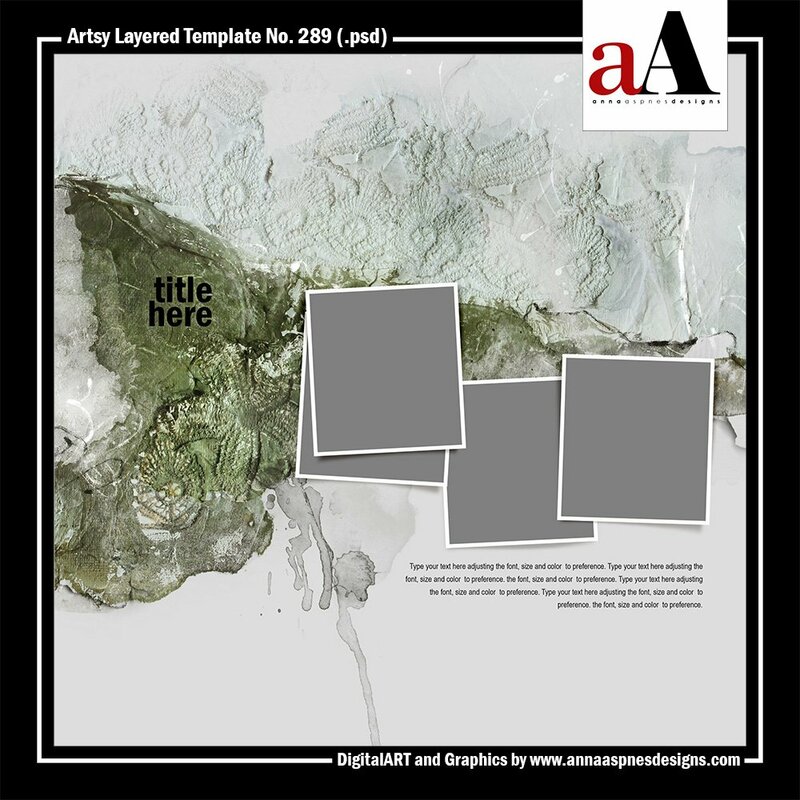 The ArtPlay ‘Moira’ Collection includes 5 coordinating DigitalART products. 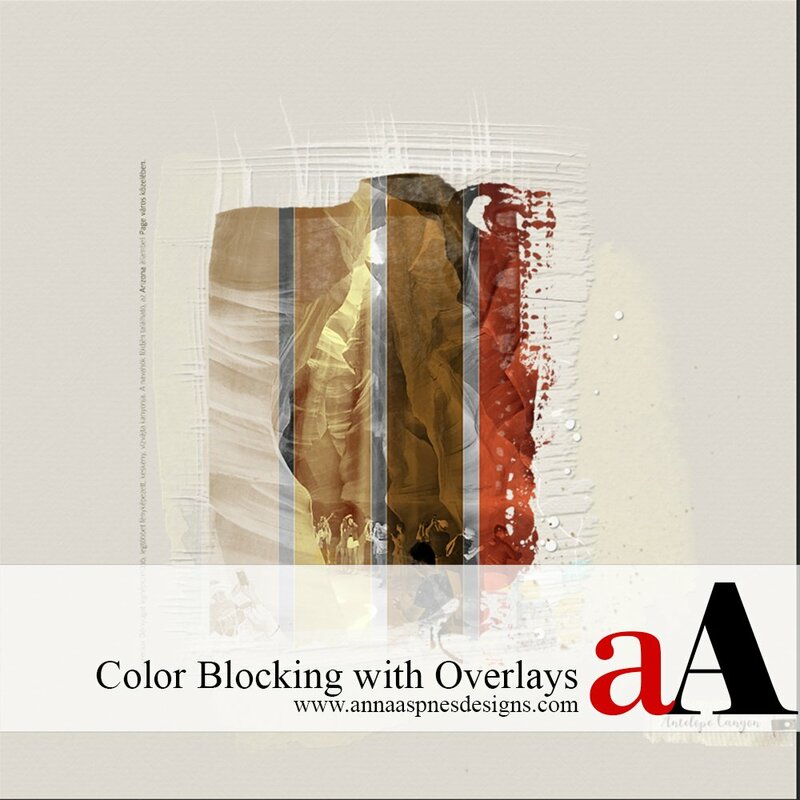 Offer valid through April 19, 2019 at 9 am EST. 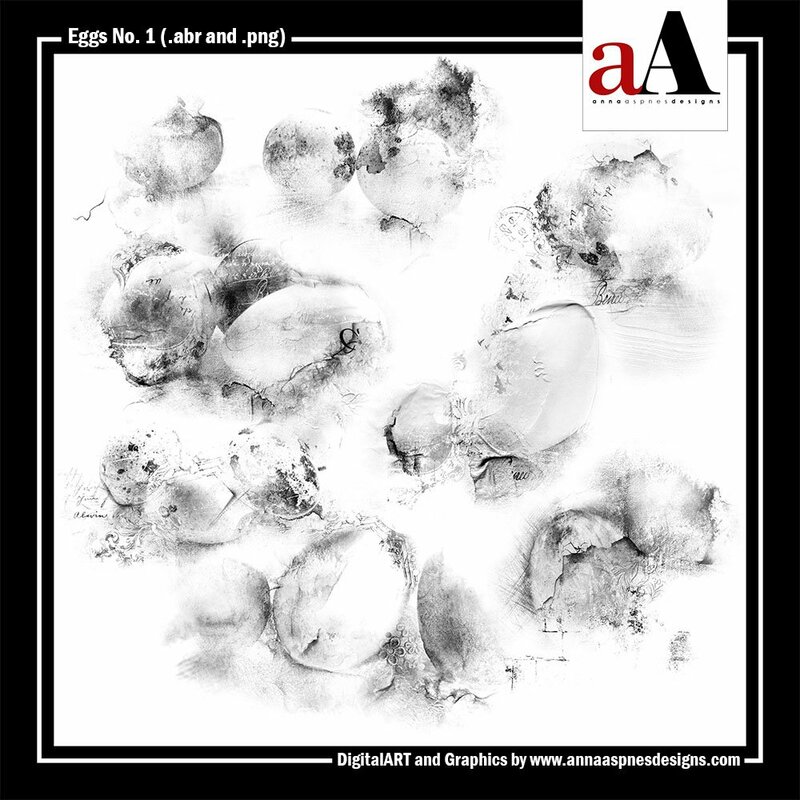 A collection of 7 decorative egg brushes delivered in .abr and .png format. 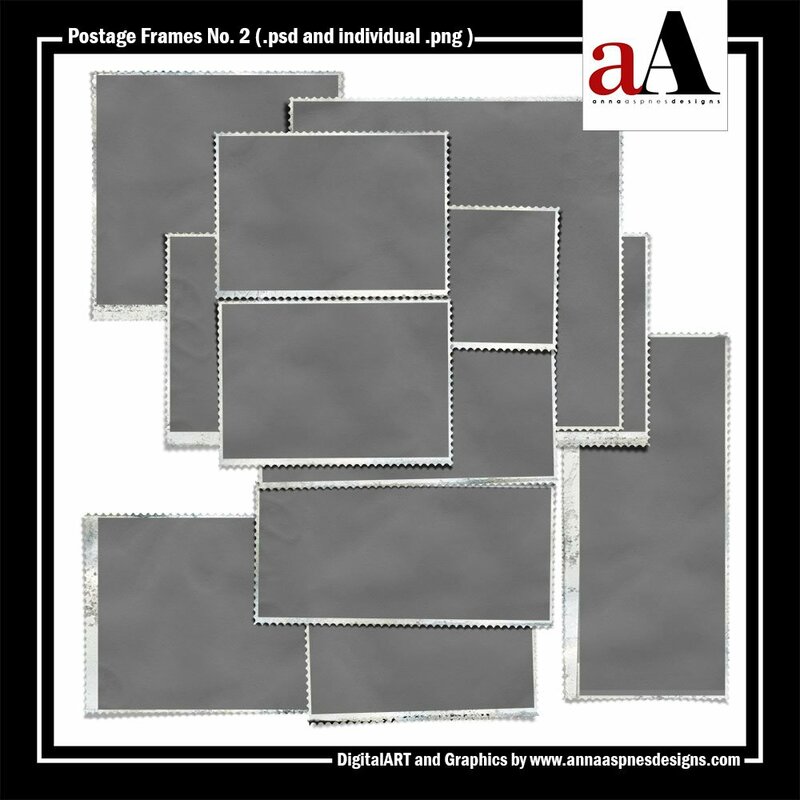 There are 2 different .abr files to support PSCC and PSE15 (from 3148 to 4717 pixels) and Elements/earlier versions of PS (from 2478 to 2500 pixels). 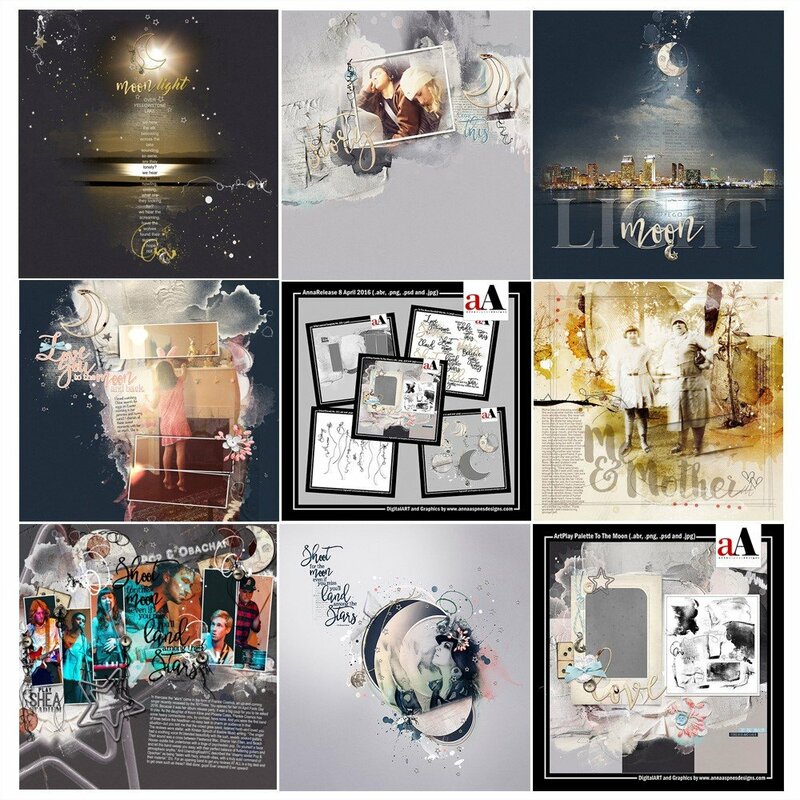 The ‘To The Moon‘ ArtPlay Collection has returned to the aA store for a limited time.